It can very tough to find true and lasting love when you are a guy or girl in uniform. This is especially tough if you are deployed several times. Yep, it is extremely easy to get flings but when the novelty wears off most people run since they find handling the challenges of military life too hard. 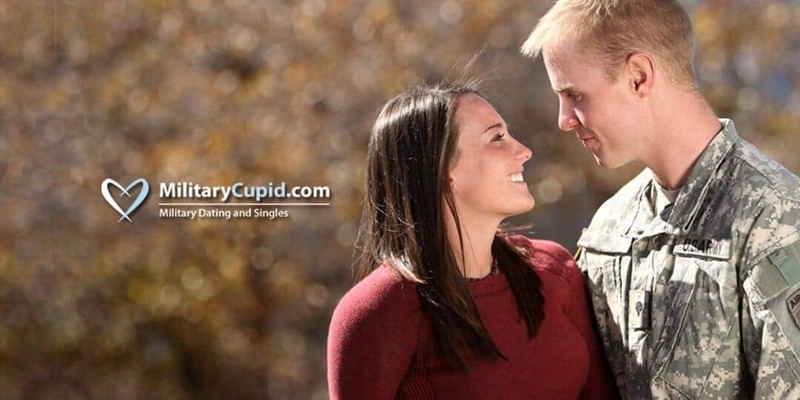 Military Cupid was created for this specific reason, to give these selfless individuals who sacrifice their lives a chance to get and maintain real love and connection. In this detailed and objective review, we are going to explore in detail what Military Cupid entails. Like most other dating sites joining is completely free. In the case of military cupid, while simply joining is absolutely free, you are not allowed to use most of the features when using the free version. For instance, with the free version you can search and actually get matches. However, to communicate with the matches you must pay. Signing up to join Military Cupid is pretty easy. All it entails is to build a profile with your information to help create a profile that your possible matches will see. The personal details needed to create your profile include basics about your appearance such as hair colour, height, ethnicity and eye color. You may also choose to share some other personal details such as occupation, personal likes and hobbies and the specific branch o the army where you serve. You can also include the type of relationship that you are seeking. This is important so you attract people with the same interests. The last thing that anyone needs is to attract people looking for casual flings when they are looking for a committed relationship. Once these detailed are filled, you can now come up with a headline that will attract what you are seeking. The headline is simply a short and attractive description of yourself so you can get attention from plausible candidates. What is particularly impressive about Military Cupid is their detailed criteria section. It allows users to choose a specific factor they want in a potential match. This ranges from physical traits to religion and even nationality. While this dating site is available to all countries, most of the active members are from the United States and Canada. UK also features prominently on Military Cupid. Reasonably, you should expect some difficulty when it comes to location since most members are serving abroad in foreign countries. This is why the filter and search filters are extremely helpful. The search and filter features are pretty standard but in this case very useful because you can eliminate who is not at your disposal. Does it Military Cupid Really Work? Yes, absolutely this website works whether you are looking just for a fling or a long-term relationship that can lead to lifelong commitment. There are numerous success stories thanks to this dating site. I mean it has been around for 10 years. Wonder why? Because it works and currently has more than half a million singles as active users. The best thing about this dating site is its versatility. It has something for everyone. Whether you are looking for a particular ethnic or religious background; you can get it here. Additionally it is also sexually progressive; whether you are gay, straight or lesbian; you can get matches on Military Cupid. That said currently, most of the users are white people so might be a challenge getting other ethnic groups. There is also the option of the type of relationship that you are looking for. This includes pen pals, marriage, casual flings or just friendship. You can freely change what you are looking for depending on preference. According to former users, pen-pals and friendships is a great way to start because these lead to lasting relationships since there is no pressure and matches actually get to know each other first. Is it realistic for someone serving the military? The best thing about this site is that it specifically addresses the needs of people serving in the military. From the moment that someone signs up they know what they are in for. Even the name is suggestive. The civilian who sign up know that what they are in for so there are no heartbreaking surprises. Definitely any military singles looking for civilian partners would find this a helpful resource. It has a simple design with no learning curve. Everything is clearly laid out and explained in detail. You are guided every step of the sign up process. It is extremely easy to navigate and the loading speeds are pretty impressive. Unlike some sites that are quite challenging there aren’t so many confusing buttons or tabs. For instance, the sign up page is straight forward and pretty much self explanatory for anyone who can read and comprehend Basic English. Additionally, military cupid features language translation services which can come in handy. The major drawback is that it does not support all languages so this might alienate people from other countries. Is it Legit or is it Scam? What makes military cupid stand out from the crowd is the fact that it comes with the ’verified badge’ feature. This significantly reduces the chances of encountering fake users who are after other intentions other than love and romance. What is important to keep in mind is that while the site itself is not a scam, there is always the possibility of encountering users who are scammers. These are pretty easy to identify. Most typically have perfect profiles and model-esque type photographs of pristine quality. If it is too good to be true then it probably is a lie. Additionally, scammers also tend to be extremely aggressive when it comes to what they will do for or with you. For instance after one conversation someone can say they love you. That is certainly a huge red flag to watch out for. If you feel uncomfortable or like you are being tricked or being take advantage of then just bark off and look for another match. Military cupid is specifically tailored for the men and women serving the military so you know exactly what you are getting into. There are no surprises! This is arguably the best dating site for anyone serving in the military and looking for either companionship or long-term romance. From the reviews and success stories this is definitely worth trying out.